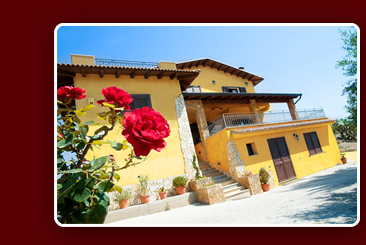 Located on a small hill with a breathtaking view over the beautiful spa town of Sciacca (Agrigento), Villa Giadani - Casa Vacanze "La Rosa Rossa" house is easily accessible through the main streets of the city (about 1 km away from the central "Via Cappuccini") and suburban streets (about 500 mts. From the start of the route SS115). Thanks to this strategic location, you can enjoy a quiet relaxing to spend a quiet and unforgettable holiday while easily accessible (5 minutes) and is the splendid beaches of Capo San Marco, either the Spa and the Historical Center for social satisfaction the most diverse needs (shopping, spa, work, etc.). 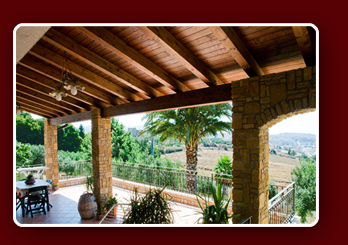 For lovers of hiking Giadani Villa - Casa Vacanze "La Rosa Rossa" is located along the famous Via Arqueologica "between Selinunte and Agrigento, connected to the Valley of the Temples (Valle dei Templi), declared a World Heritage Unesco (where you can also visit nearby "Contrada Caos, the house and the tomb of Luigi Pirandello), in Selinunte, and Segesta Cava Cusa. Thanks to the A29 motorway (exit is approximately 20 minutes), can be reached in less than an hour to the beautiful medieval town of Erice, the lovely Gypsy Nature Reserve (Riserva Naturale dello Zingaro), the salt flats of Trapani ( and from Trapani to reach the islands Egadi "Egadi"), Marsala (the Punica ship and the small island of Mozia) and also the beautiful city of Palermo with the nearby Cathedral of Monreale.